We picked some of your favourite destinations from East and West and applied some fantastic discounts you won´t want to miss. Whether it´s historical landmark cities like Orlando, Bangkok or Bali...or perhaps you prefer the exotic cultural melting pots of Kuala Lumpur, Hong Kong or Phuket... just take a look at our deals and be sure to book your hotel whilst offers last. This hotel boasts a prime setting in Bali, lying close to a host of tourist areas. 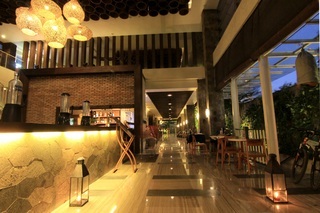 The hotel is situated within easy access of the Kuta shopping area, Legian and Kuta Sunset Beach. The hotel is conveniently located just a 5 minutes' driving distance from Ngurah Rai International Airport. 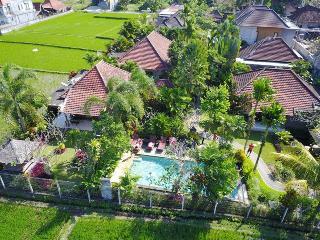 This charming boutique hotel is gracefully set amidst 5- acres of land, in a secluded area of Tuban. The hotel is the ideal option for discerning travellers, who are seeking a peaceful, luxurious break. The hotel tempts guests with its elegant design, beautifully combining elements of traditional and contemporary styles. The guest rooms are superbly appointed, bathing visitors in elegance and charm. The hotel features a boundless choice of exemplary facilities, catering for the leisure and dining needs of every type of traveller. This resort hotel lies at the main crossroads of Bali, lying within easy access of the island's main attractions. Guests will find themselves just a short driving distance away from the prestigious area of Seminyak, Nusa Dua, the spectacular Kuta Beach and the energy and bustle of Denpasar City. Bali Airport is located just 6 km away. The resort is situated in a great setting, from which to explore the area. This wonderful resort hotel enjoys a modern, minimalist design, exuding an air of peace and serenity. The guest rooms and apartments are beautifully presented, offering a haven of elegance and charm, in which to enjoy a relaxing holiday. The accommodation options come complete with modern amenities, for added comfort and convenience. Guests are invited to avail of the wide range of facilities and services that the resort has to offer. Experience the “Island of the Gods” from the Best Western Resort Kuta, a charming retreat nestled in a peaceful part of this dynamic destination. Set back from the hustle and bustle, yet just minutes from the center of the action, the Best Western Resort Kuta offers the best of both worlds. Guests can stroll to the world-famous Kuta Beach or vibrant shopping and nightlife areas, or unwind in the comfort of our well-equipped resort. All of our guest rooms and suites offer modern amenities including free Wi-Fi and some units allow guests to slide straight into the resort’s outdoor pool. Parents can enjoy an indulgent spa treatment and kids can make a splash in the children’s pool. Dining is a pleasure at the on-site restaurant, which serves excellent local and international cuisine, and the bar is the perfect place to enjoy a cooling cocktail amidst tropical surroundings. The hotel is nestled in the heart of Ubud and superbly positioned facing a breathtaking view of rice paddies. The hotel is less than 5 minutes to the Ubud Centre,the Mongkey Forest, the Ubud Market, the Ubud Palace and the restaurants area. The hotel provides a spacious, stylish and luxurious environment in which to relax and unwind. The hotel is the ideal place for holidays, offering a friendly and personal service coupled with the peace and serenity of the surrounding artisan community of Katik Lantang village. With a strong emphasis on relaxation, privacy and personal services the hotel caters for all needs. The hotel offers not just cosy villas with a breathtaking surrounding view and strategic location, but also friendly and professional staff who will go out of the way to ensure a comfortable stay for guests. A place where comfort meets contemporary Balinese design with a touch of minimalism, this hotel is a home away from home and a retreat from the busy everyday life. Since a getaway to Bali would not be complete without a day the water, Seminyak Beach - only a 5-minute walk from the premises - and the pool will have all guests covered. After a day of sunbathing and swimming, they can unwind in the SPA centre with a wide range of traditional massages and treatments, including Shiatsu, reflexology and aromatherapy. The hotel is conveniently located within a 10-minute walk of numerous restaurants and cafés, but guests can also prepare a home-cooked meal and enjoy it in the beautiful atmosphere of their own suite. Set in Dubai, the one of a kind has an option of customizing your stay the way you want. It is 4 km from Dubai International Airport and offers facilities like outdoor rooftop swimming pool. Attractively positioned between Downtown Dubai and Dubai's iconic building Burj Khalifa, and Dubai Design District, this hotel is located in the traditional dhow-building area of Al Jadaf. All guest rooms come with a balanced healthy breakfast, HDTV with Google Chromecast and high-speed WiFi. Rooms come with a private bathroom with a walk-in rain shower. At the hotel rooms include a custom-built luxury bed. Guests can decide everything else with the flexible add-ons – weForm, a never-before way of picking and choosing only the experiences, amenities and services the guests value. This comfortable hotel is located in Dubai. 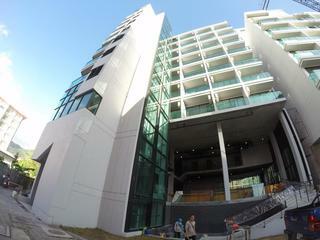 The hotel comprises a total of 253 snug accommodation units. Apart from the services and amenities offered, travellers can take advantage of the wired and wireless Internet connexion available on the premises. Maisan Hotel offers a 24-hour reception service, so that guests' needs will be fully met at any time of the day or night. Cots are available for younger guests on request. All bathrooms at this disability-friendly property are handicapped friendly. This pet-friendly accommodation accepts pets up to a maximum weight of 5 kg. This hotel features parking and garage lots for guests' convenience. Transfer service is available for guests' convenience at Maisan Hotel. 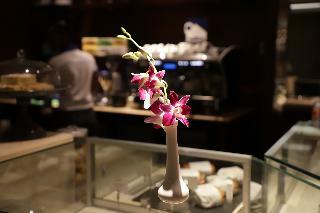 The dining venue serves sumptuous dining in an elegant atmosphere. 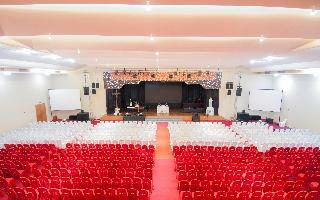 This establishment is provided with all the necessary services and amenities for a successful business event. Some services may be payable. The property is on the main road of the Ngurah Rai Simpang Siur bypass, 50 metres from the famous Dewa Ruci Statue Circle Road. The hotel is easily accessible from most popular tourist spots in Bali. This boutique hotel was built in 2012 and features 135 deluxe rooms and spacious suites with a unique combination of traditional and modern architecture and heartfelt services. 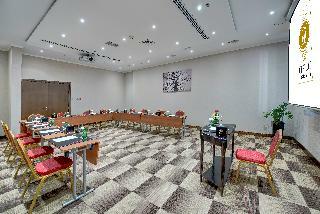 The hotel is ideally suited for both business and leisure travellers. The property features a beautiful outdoor swimming pool with a children's swimming area and a poolside snack bar. Guests can relax on the sun terrace and fitness enthusiasts may enjoy a workout in the gym. Massage and SPA treatments are available at the SPA centre on-site. Located in the low-key Jadaf neighbourhood, in the past primarily a dhow building area and today home to the Dubai Culture Village, this hotel offers its guests a different way of experiencing the city. Sitting away from the hustling and bustling strip, it is a 10-minute drive from the World Trade centre metro station and the Dubai International Airport, ideal for business travellers or those looking to catch an early morning flight. 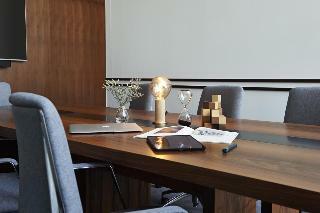 The venue can offer its guests bright and cosy rooms, each decorated in a unique colour and style, but all treating to beautiful views of the city and all the necessities needed for a relaxed stay. Guests will also have the convenience of an outdoor pool for refreshing and a fitness centre for those who want to maintain their workout schedule. For dining, the in-house restaurant serves a hearty breakfast buffet and delicious dishes throughout the day. The hotel is ideally located in the center of a tourism area, at Jl Kartika Plaza Kuta 42, which includes the well-known Kuta Beach and Bali Discovery Mall. 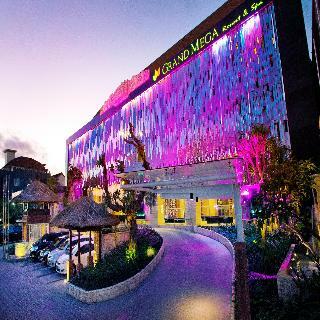 Being only 10 minutes away from Ngurah Rai Airport, the hotel is 25 minutes from Denpasar and 20 minutes from Jimbaran - Nusa Dua tourism area.Being the perfect venue for business and leisure, the hotel offers its guests a wide range of facilities that will make their stay very comfortable. It has two rooms' types, suitable to various guests' need. They have been tastefully fitted with modern touches, yet cosy and home-like.The in-house Elysium Spa sets a high-end spa service and provides a friendly and warm atmosphere affordable for everyone. Guests can enjoy here a stairway to heaven with the traditional massage rituals, hot stone therapy, body wrap and body scrubs. This hotel is located just 100 metres away from the centre of Kuta. The hotel is conveniently located within easy access of the Bali Mall Galeria shops, the Kuta Art Market, Kuta Beach and the popular Discovery Shopping Centre. 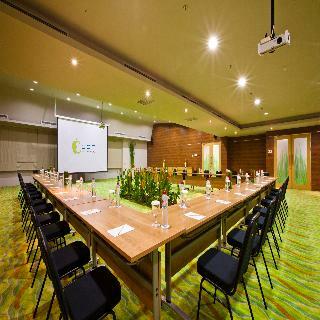 The hotel is situated just a 15 minutes' driving distance away from Ngurah Rai International Airport. This wonderful hotel enjoys a charming design, beautifully incorporating elements of traditional and contemporary styles. The rooms are beautifully appointed, and are well equipped with modern amenities. 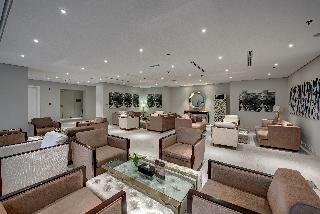 Guests will be pleased by the host of facilities and services that this wonderful hotel has to offer. This luxurious hotel is an exclusive accommodation option where visitors will completely feel surrounded by a world of sophistication and delicate services. The hotel is very well located, just a 15-minute drive to the Dubai International Convention Centre and a 20 minute-drive to the Dubai International Airport. Leisure travellers will appreciate the property’s proximity to major shopping malls, world-class shopping and prime business districts. The establishment provides a combination of 132 spacious rooms and elegant suites. Every room is superbly furnished, having all the comforts expected of a landmark hotel. Each of them offers a lavish and nurturing environment where all guests’ needs are taken care of by an excellent personal yet unobtrusive staff. The enticing interiors of the hotel are an eclectic mix of modern design and classic refinement, making feel guests completely at ease. The hotel is located in the Bur Dubai area, near key business and leisure destinations in the city, making it an ideal base for all travelers. There is a variety of shopping malls as well as textile and computer markets are a few minutes' walk from the hotel, along with legendary shopping area of Meena Bazar, the Dubai Museum and the Ruler's Court. Facilities include a lobby, bars, restaurants, hotel safe, currency exchange, lift access, a café, a hairdresser, conference facilities, Wi-Fi, room and laundry services and parking for those arriving by car. 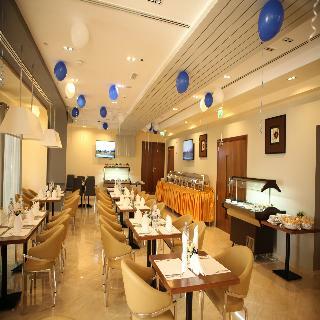 Only a 2-minute walk from Dubai Creek, Astoria Hotel offers air-conditioned rooms and 4 restaurants. 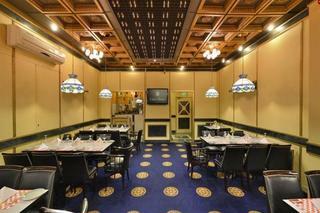 It is within 5 minutes' drive of Bur Juman Mall.The rooms at Astoria Hotel are equipped with a work desk and cable TV. Each has a mini-fridge and a private bathroom with a hairdryer. Ironing facilities are provided.Tex Mex cuisine and live entertainment can be enjoyed at the Pancho's Villa restaurant and night club. There is also an Indian eatery and an American-style restaurant with a 3-course menu.Astoria can organise shopping excursions to the local malls and souqs. Desert safaris and creek cruises can also be arranged.Dubai International Airport is 20 minutes' drive away. Booking a hotel in Orlando doesn´t have to cost the Earth! That´s where Hotelopia come in, offering you the best deals in some of your favourite cities across USA & Asia. Saving you time and money to focus on the more important things!